For reviews, maps, other places to visit, and other tourist information, go to the Montevideo online visit planner . Fortaleza, Brazil to Montevideo is an approximately 10.5-hour flight. You can also do a combination of flight and bus; or drive. Plan for a bit cooler temperatures traveling from Fortaleza in March, with highs in Montevideo at 28°C and lows at 17°C. Wrap up your sightseeing by early afternoon on the 18th (Mon) to allow enough time to take a bus to Punta del Este. Your list of things to see and do now includes Museo - Taller de Casapueblo, Playa Brava, Avenida Gorlero, and other attractions. Start off your visit on the 18th (Mon): browse the exhibits of Museo - Taller de Casapueblo and then kick back and relax at Playa Punta Ballena. 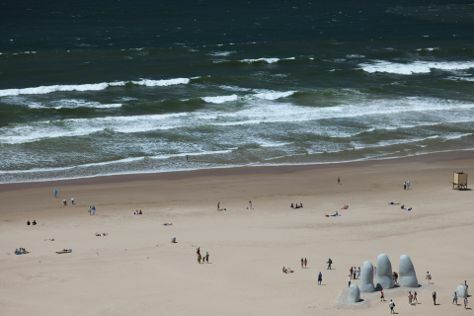 On the 19th (Tue), you'll have a packed day of sightseeing: make a trip to Mano de Punta del Este, take in the pleasant sights at Avenida Gorlero, snap pictures at Puente Leonel Viera, enjoy the sand and surf at Playa Brava, then see the interesting displays at Museo del Mar, and finally admire the masterpieces at Ralli Museum. For traveler tips, reviews, photos, and tourist information, use the Punta del Este sightseeing planner. You can take a bus from Montevideo to Punta del Este in 2 hours. Another option is to drive. Expect a bit warmer evenings in Punta del Este when traveling from Montevideo in March, with lows around 21°C. On the 20th (Wed), wrap the sightseeing up by early afternoon so you can take a bus to Montevideo. Your list of things to see and do now includes Plaza Tomas Gomensoro, Museo Torres Garcia, Mercado del Puerto, and other attractions. You'll discover tucked-away gems like Artigas Mausoleum and Cementerio Central. Enjoy Montevideo some more: make a trip to Plaza Independencia, get to know the fascinating history of Galeria de Arte Porton de San Pedro, see the interesting displays at Museo del Tabaco La Republicana, and hunt for treasures at Villa Biarritz Fair. To find traveler tips, maps, ratings, and more tourist information, refer to the Montevideo online tour planner . Traveling by bus from Punta del Este to Montevideo takes 2 hours. Alternatively, you can drive. Traveling from Punta del Este in March, expect a bit cooler with lows of 17°C in Montevideo. You'll have a few hours on the 23rd (Sat) to wrap things up before traveling to Colonia del Sacramento. Sleepy cobbled streets lined with pastel-colored houses lead down to the water in Colonia del Sacramento. To see traveler tips, maps, other places to visit, and tourist information, go to the Colonia del Sacramento tour planner . Traveling by car from Montevideo to Colonia del Sacramento takes 3 hours. Alternatively, you can take a bus. Expect a daytime high around 28°C in March, and nighttime lows around 19°C. On the 24th (Sun), you'll travel to Buenos Aires. Feria De San Pedro Telmo has been added to your itinerary. Discover out-of-the-way places like Basilica del Santisimo Sacramento and Fragata ARA Sarmiento. 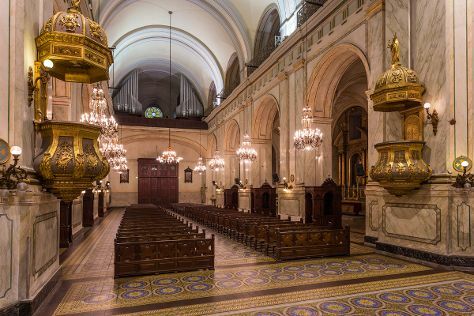 The adventure continues: don't miss a visit to Recoleta Cemetery, take a stroll through Puerto Madero, contemplate the long history of Museo Nacional De Arte Decorativo, and take in the history at Plaza de Mayo. To see reviews, where to stay, photos, and more tourist information, go to the Buenos Aires trip itinerary planning tool . Traveling by ferry from Colonia del Sacramento to Buenos Aires takes an hour. Alternatively, you can take a bus. March in Buenos Aires sees daily highs of 29°C and lows of 20°C at night. You will leave for home on the 28th (Thu).